At Fuse we pride ourselves on being the "Leading Edge Lens Company" dedicated to producing the absolute best lenses for your eyeglasses and sunglasses. Our advancements in optical quality, lens colors and product offerings can only be imitated by our competitors. We are the only sunglass lens company that operates and manufactures the lenses here in the US. This gives us the control and flexibility to constantly improve the end product and your satisfaction. Our in house team of optical lab technicians use strict standards and careful practices in the precision cutting of each pair of lenses. Because of our close relationships with our lens material vendors and our extensive knowledge in the Rx eyeglasses field, we are able to develop some of the most advanced lenses on the market for optical clarity, impact resistance, sport specific colors and over all awesomeness. 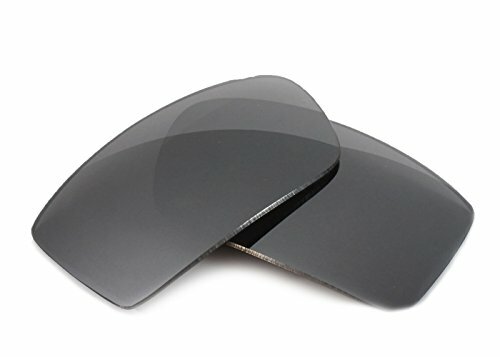 All of our lenses offer 100% UV protection, impact resistance that exceeds ANSI Z80.3 and EN 1836:2005 standards, multiple layers of the most intense and rugged hard coatings and hydrophobic coatings to keep your lenses clean and protected and, of course, a 100% money back satisfaction guarantee. Upgrade your shades today with a better pair of lenses and see the difference for yourself. After all, it is officially sunny! Fuse Carbon Mirrored Polarized Lenses. Subtle Silver Metal Mirror Coating over a grey lens base. Grey view. Grey tint gives true color perception. Cuts through blinding glare. Enhanced depth perception.